It was close to my parents’ place, so I’d have a place to crash. I’d been feeling pretty good about the race until the week leading up to it, when I got a light version of the flu. My sleep, nutrition, and hydration were pretty bad for the week ahead of the race, so I didn’t know what to expect on race day. Also, California has been getting a lot of rain recently. The forecast for this one didn’t look great either. 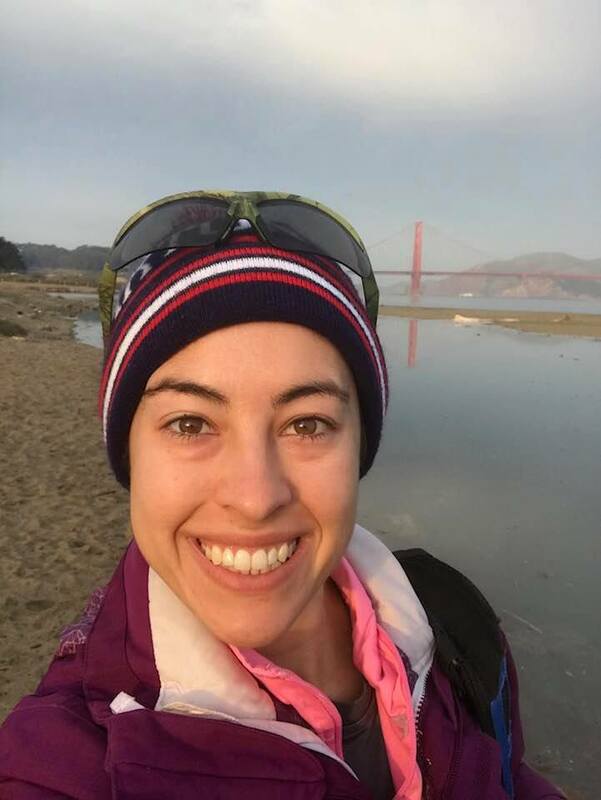 The race is quite large – I want to say something like 25,000 people run some distance that day, with the vast majority – about 90% – running the half marathon. So, a lot of people were trying to pick up packets. 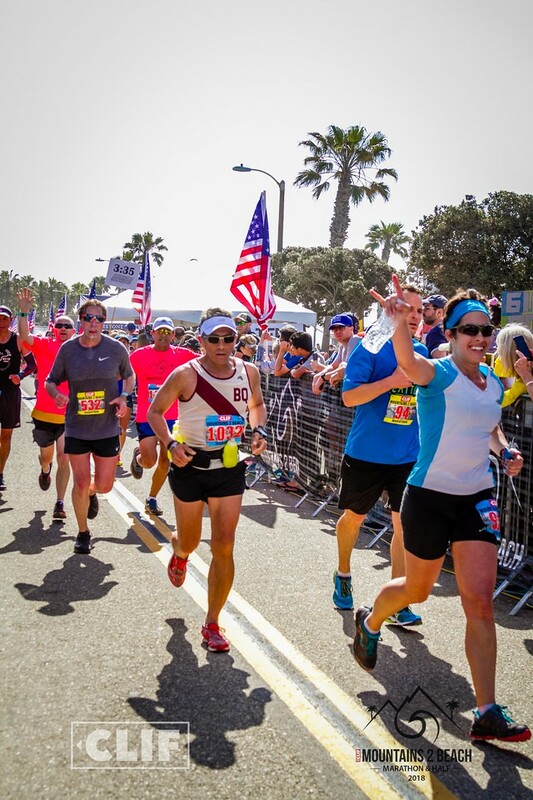 The race expo is in a tented structure in parking lot at the beach – near the start line. This makes access to it very challenging, since there’s pretty much only one angle of approach to get there. To top it off, the weather was pretty nasty. Rain was coming down in buckets. Californians are not great drivers in the rain. So we have a lot of people trying to get to an inconveniently located destination in really bad weather. 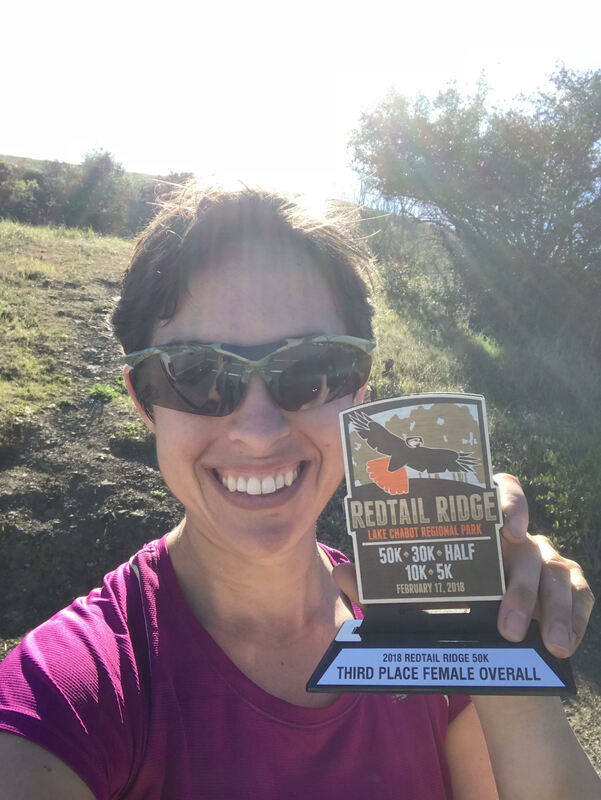 After narrowly avoiding a traffic ticket, I secured a place to pack in a nearby parking lot and headed to the packet pickup tent. It was windy and wet – I was holding my umbrella at a 45-degree angle to keep at least part of myself dry. Inside the tent, everything was a little bit wet. The tent was set up directly on the concrete, so water was cascading through the structure in wide rivers. I blasted through as quickly as I could, picked up my bib, grabbed my shirt, snagged a taste of some decent-looking granola bar sample, and booked it back to the car. I really hoped the weather wasn’t going to be this bad the next day. After a nice evening with my parents and my cat ZigZag, I woke up pretty early – maybe around 3:30 – and headed up towards Huntington Beach. I left plenty of time to park, since we needed to take a shuttle to the start. The weather was looking okay. Only a few little drops on the windshield on the way. I left my umbrella in the car and got on the bus. I was fully prepared to freeze at the start line for a while, which is one of those painful rituals that doesn’t get better with time. I’d brought a lot of extra things to stay warm, such as chemical handwarmers and plastic bags to wear. 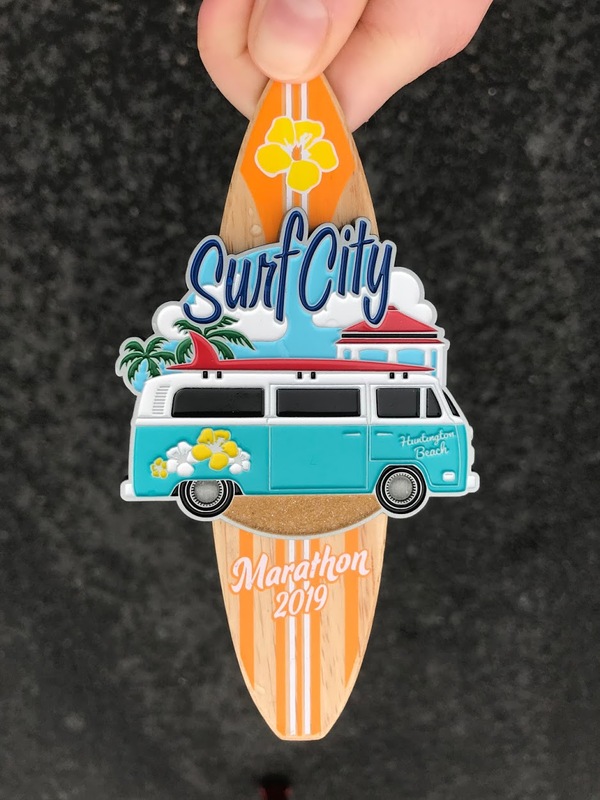 However, I met a super nice woman on the bus who had run the race a number of times before, and she let me in on a secret – the hotel next to the start line opened up their bottom-floor conference center for runners to hang out in. So I hung out in a warm, carpeted conference hall until about seven minutes before the race started. Pretty luxurious, and I wasn’t freezing. My goal is to run a 3:30 marathon one day. I was pretty sure that it wasn’t going to happen this day, but you never know unless you try. A strategy I like to use is to start with a slower pace group, then try to catch up to my goal pace group. That way I know I have between several seconds and several minutes of buffer time to spare if the pace group is going slow and I fall back. 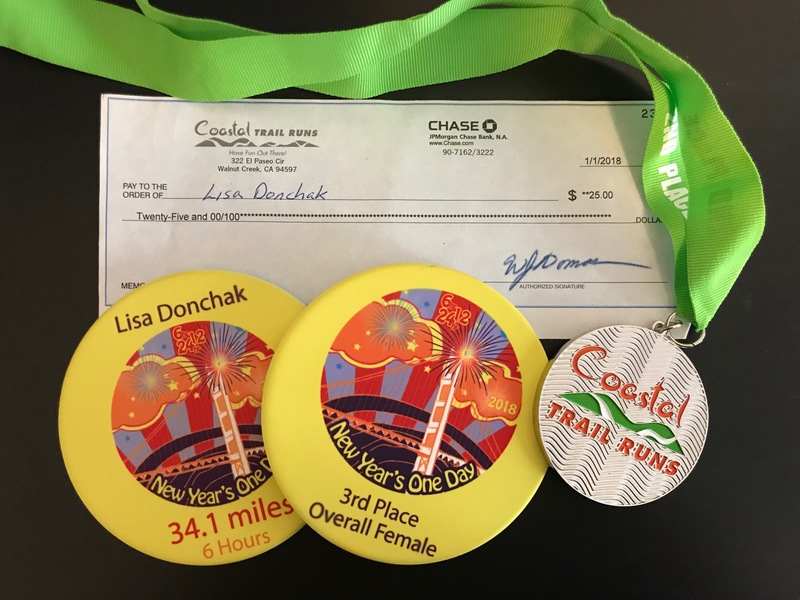 I started with the 3:40 pace group, and promised to not overdo it – I would stay with them for the first mile, then try to track down the 3:30 pace group. 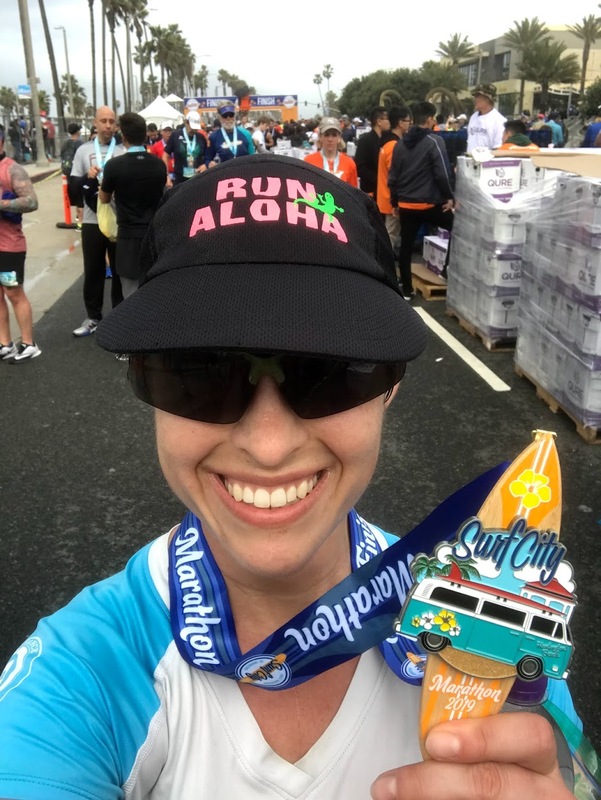 This was actually pretty challenging, since I felt like I had a lot of energy – staying with the 3:40 pace group really made me modulate my pacing quite a bit for that first mile. After that mile, I picked up the pace, and I found the 3:30 pace group around mile 5 or so. I tucked in with the two pacers and cruised. I didn’t know if I’d be able to hold it, but it was fun to chat for a bit with them, and I was moving pretty quickly. Around mile 9, we turned onto Highway 1, which goes right along the ocean. 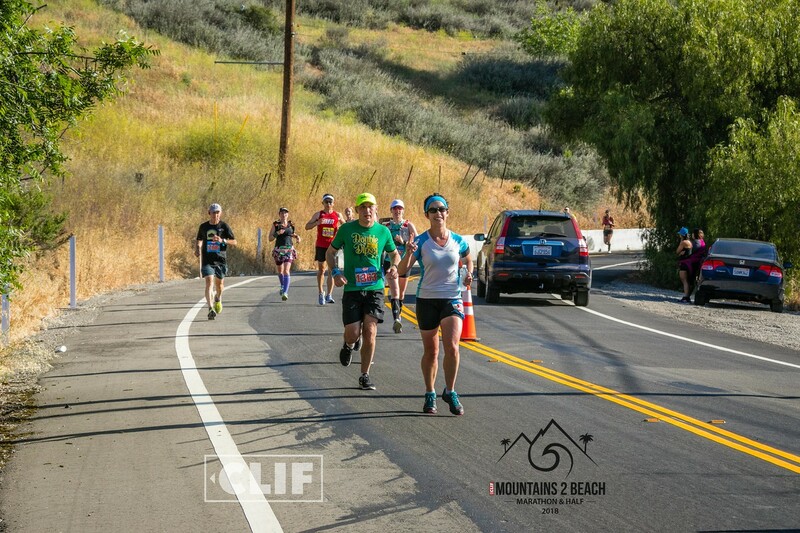 We’d run up north a ways, turn around and run back south towards the finish line, then make another hairpin turn, run up north along a beach trail, then turn around and head to the finish line. One of the pacers called this stretch “the treadmill,” as it’s supposed to be very boring. I didn’t think it was that boring – at least it was flat – but the view could have been better, since it was still quite overcast. 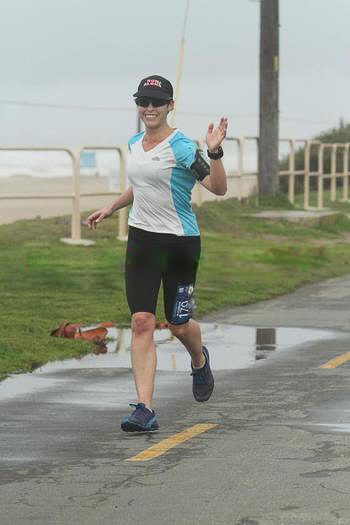 Around mile 11, we started getting some droplets of rain. We were a little nervous that the skies were going to open, like they had the day before, and we’d be drenched, but this was about as bad as it got that day. At mile 13, the pacers started debating whether or not we were on track for a 3:30. One of them thought we were, and the other one thought that we were behind. 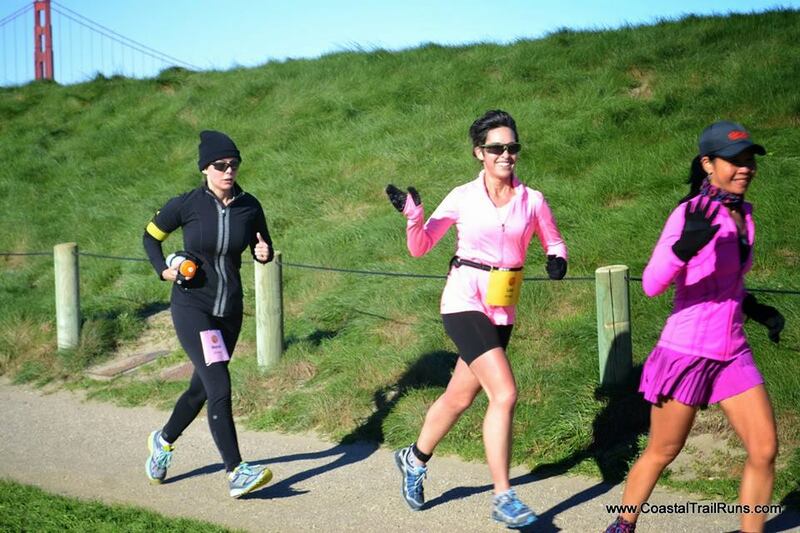 At mile 15, we went up a slight incline, and I couldn’t keep up – I fell back a bit. I think I knew at this point that a 3:30 was not in the cards. However, I did track my race on Strava this time, since I needed to bring my phone anyway. When I looked at the splits later, I saw there were a couple of 7:40/7:45 miles in this stretch. I’m pretty sure the pace group picked up the pace quite a bit here, and that could be why I fell off. Whatever the reason, I knew that 3:30 wasn’t going to happen this time. 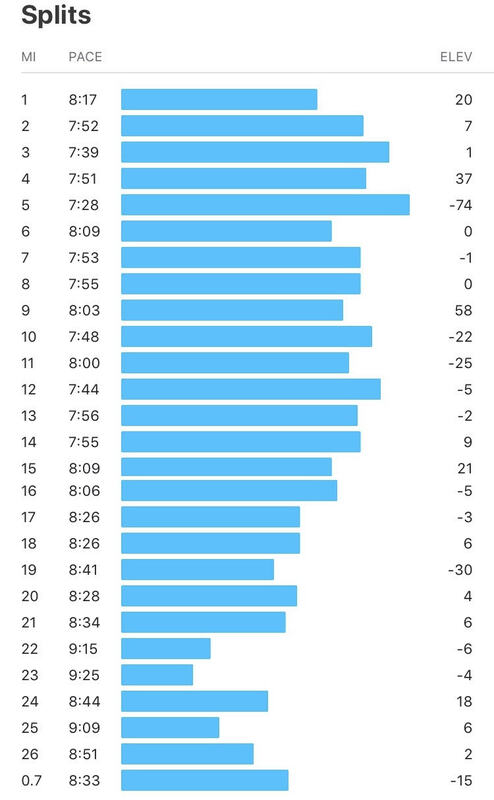 Strava splits. Fast miles in here. The course continued south, and around mile 17 or 18, we made our second hairpin turn and headed back north. I was going pretty slow at this point. When we reached the next hairpin turn to head down the final south stretch, that’s when things got really hard. It turned out that, during that couple of miles of northward-facing running, a wind had picked up from the south. So now, as we headed back to the finish, we were facing a stiff headwind. This was not awesome and I didn’t feel great about it. I also didn’t have a lot of gas left in the tank by this point. Around this time, a woman caught up to me who wasn’t going that much faster than I was. I picked up my pace and tried to stay with her. 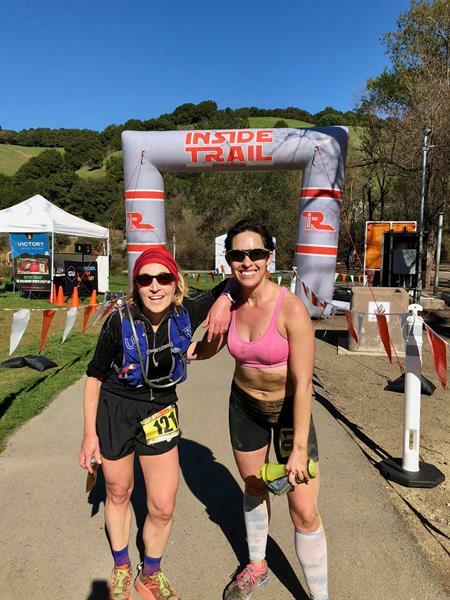 We went through a couple of aid stations together – she would stop for water, then come catch me, and I’d keep trucking along. We didn’t say anything, but we were definitely pacing off of each other for a while. Running towards the finish- you can kind of get a sense for the weather in this picture. 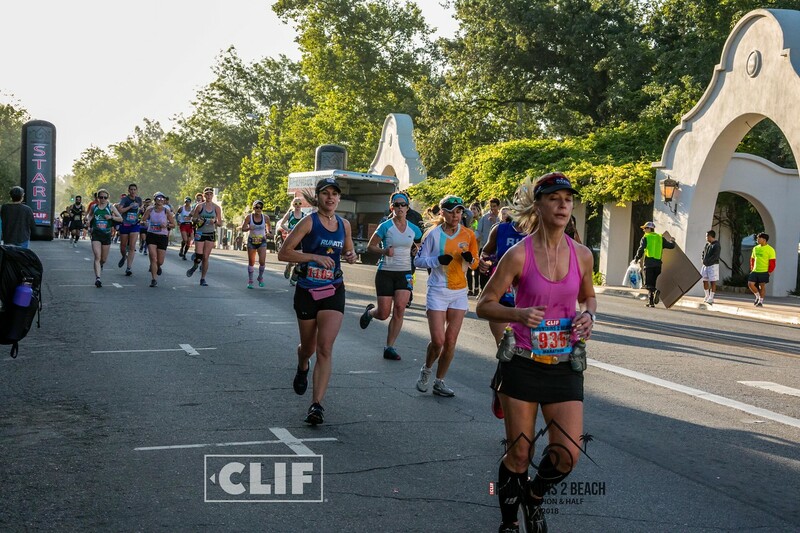 With about a mile to go, the 3:40 pace group – my original buddies – finally caught me. By this time, the crew had dwindled to one pacer and about three runners. I picked up the pace again to try to stay with them – I knew if I could finish with the pacer, I’d at least be under a 3:40. So that was the goal, and I basically sprinted the last mile (at least, if felt like that). I finished at 3:39 and some change. Even though it wasn’t a PR, or even a top three time for me, I felt pretty good. 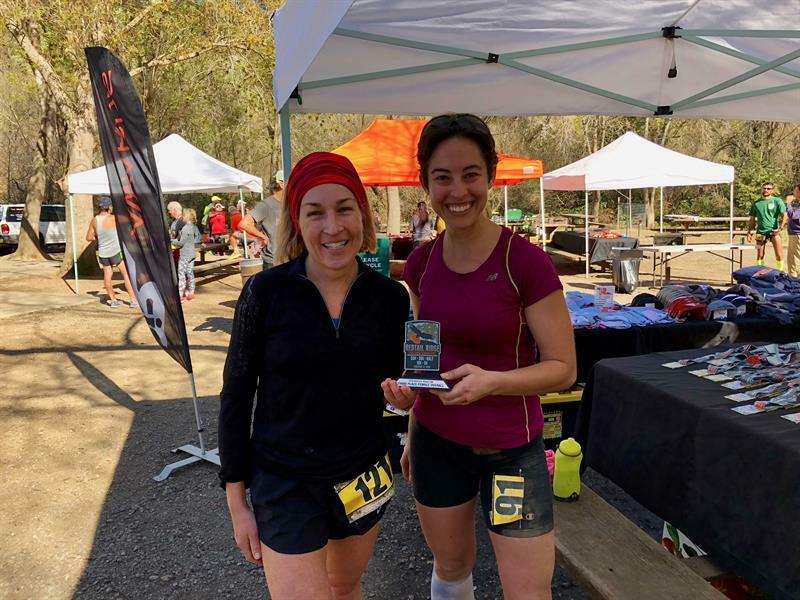 I’d worked hard on the course, and if my health/nutrition the prior week had been better, and I’d fueled better on the course, I probably could have gone faster. I worked hard and was proud of the outcome. My Strava splits are here. Close up of the medal – it was pretty neat! There was a second race this day – the race to the airport. I finished my run around 10:30 or so, and I had a flight at 1:45. so I took a picture at the finish line, jumped on the shuttle, got in my car, and headed to the nearest 24 Hour Fitness, which I’m strategically a member of just for situations like this. (NB: Not a shill, just really appreciate how convenient this gym is). This particular one also happened to have a hot tub, and since I was actually a little ahead of schedule, I jumped in for a few minutes before heading to the airport. Overall, this was a fun race. I’d probably run it again – next time with better preparation the week before! Every year, I think a bit about what I want to focus on in the upcoming year. It’s a bit like New Year’s Resolutions. My theme for 2018 was “community.”I chose it because I wanted to build one this year. In December, I really feel like the efforts of this focus came to fruition, in a number of ways, and this particular weekend felt like one of them. CIM – California International Marathon, in Sacramento – is a theoretically fast course, although I think it’s deceptively difficult due to the early downhill. Because it’s considered fast, it’s also very popular. So I knew a lot of folks who would be there this year, including Andrew and Patti (from Antarctica), Mike (of Badwater fame), and Eric (a friend I met while his company was a client of mine). At the race expo, meeting Scott Jurek,who is famous for setting the Appalachian Trail speed record and winning a bunch of hard ultras, like Badwater, Hardrock, and Western States. He signed my bib, and we got copies of his book! Running with Tim Twietmeyer in the 3:35 pace group. 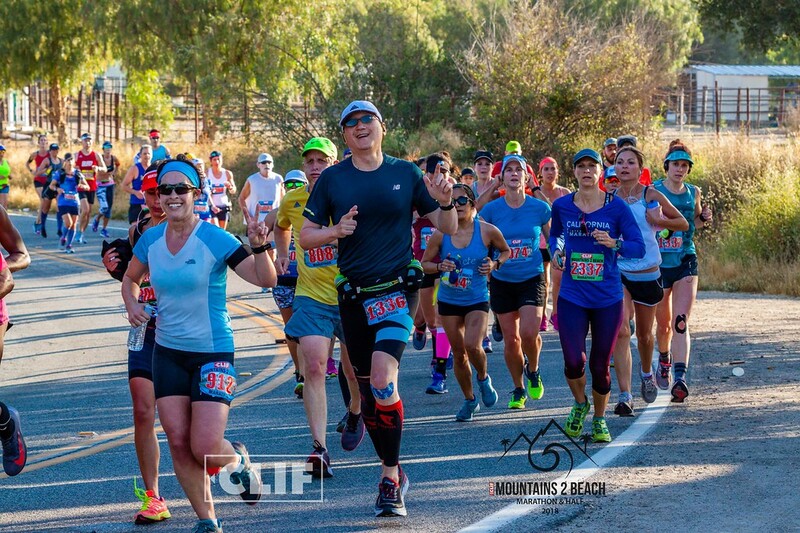 Tim has won Western States 100 five times, and has finished in under 24 hours … 25 times. 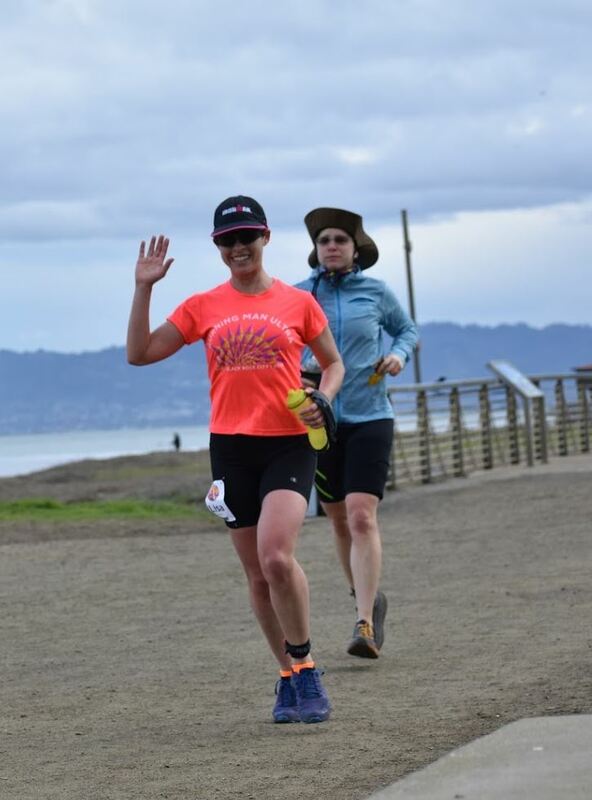 Going back to the finish line – long after everything had been taken down – and seeing a couple of the final runners finishing. Patti somehow involved herself in handing out medals to these super dedicated folks. We think she also may have handed out a medal to some random jogger who was unaffiliated with the race. Visiting The Diplomat bar for a drink, because we’d heard that a senator had gotten drunk and punched someone there, although none of the staff could verify this. Overall – super super fun weekend. Running has transformed from something I do just to do it, to something that keeps me connected with people who I care about. I’m looking forward to more of the same next year. Three of the people in this photo ran a race in Antarctica. The other one is Scott Jurek. I just liked how my calf looked in this picture. 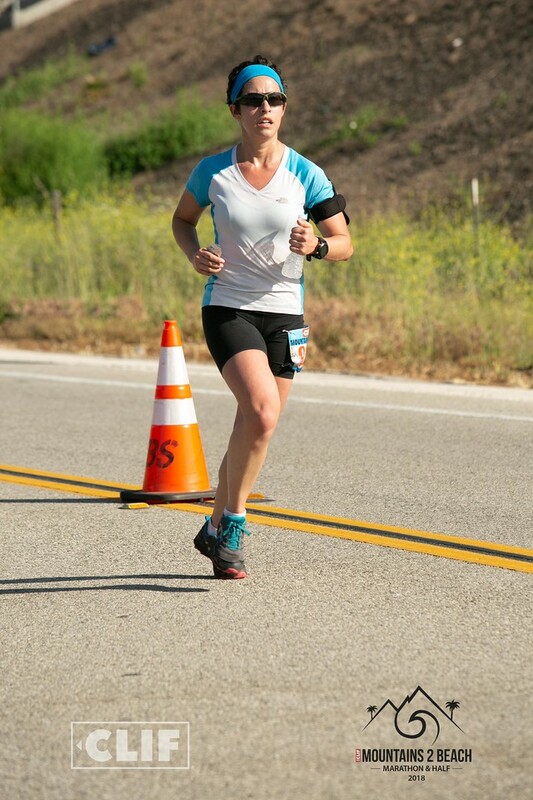 A few weeks ago, I ran a fast marathon in Ojai. 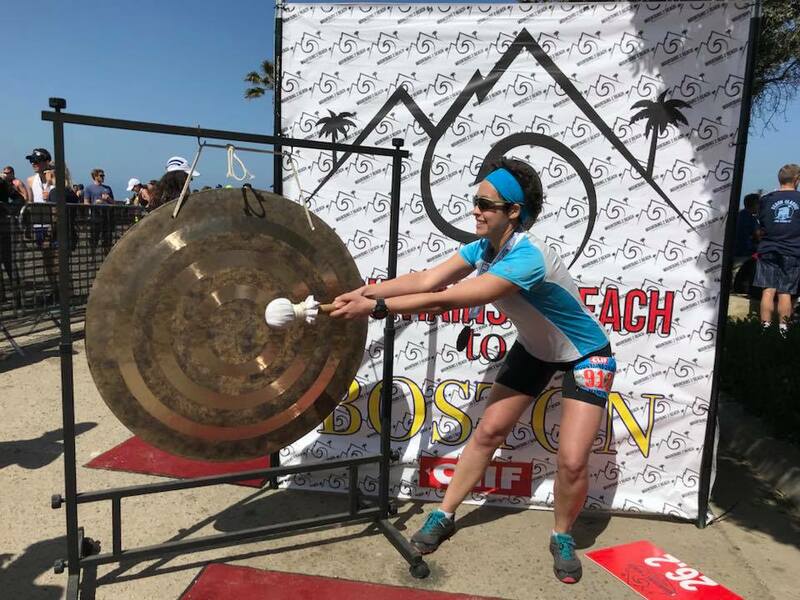 It was so fast, in fact, that it was my fastest ever marathon – by over two minutes! I ran 3:32:27. 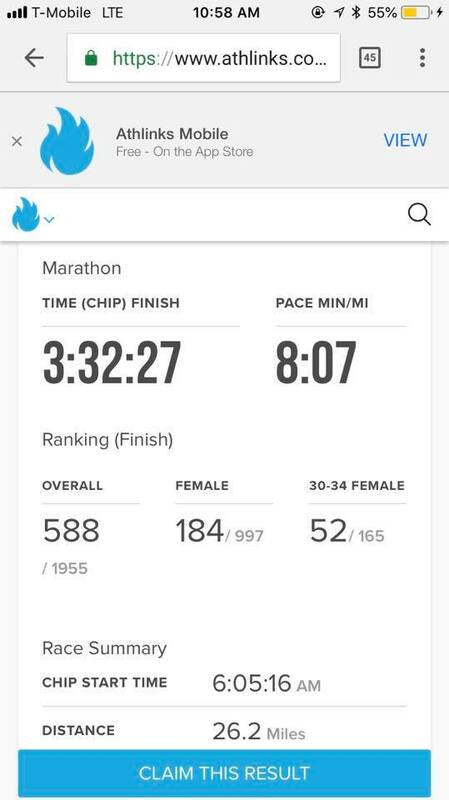 After PRing my 50k a few months ago, I felt like maybe I was in good enough shape to try for a marathon PR. 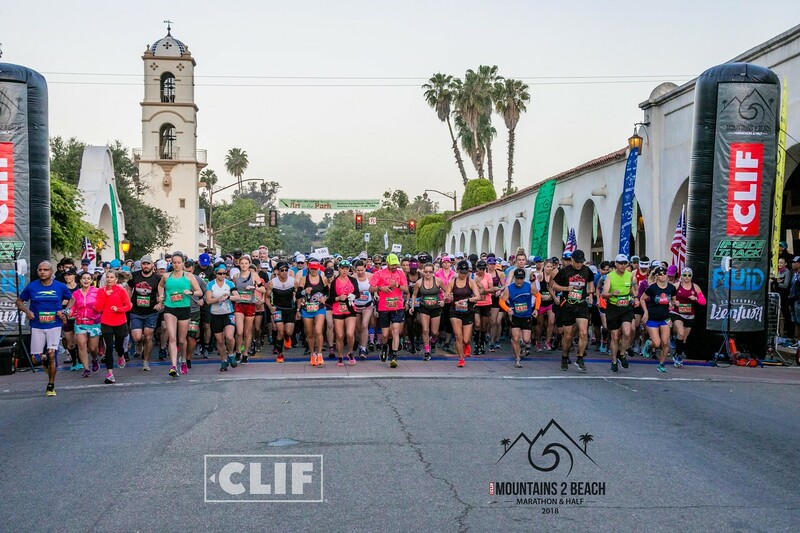 So I hunted around for a fast course and signed up for this one – Mountains2Beach – which is one of the fastest courses out there. It’s net downhill, which is fantastic, and the weather is typically quite temperate, which is also good for running at speed. Here are some observations from the day. The start of wave 3. I’m in the front on the left side of the photo. The start setup was three waves. The first wave was for runners who thought they would finish under 3:20. The second wave was for those between 3:20 and 3:40 (which is where I was supposed to start, with a 3:35 target time/ Boston qualifying time), and the third wave was for 3:40+ finishers. Waves started two minutes apart. The 3:35 pace group started in wave 2, which is where I was seeded to start as well. 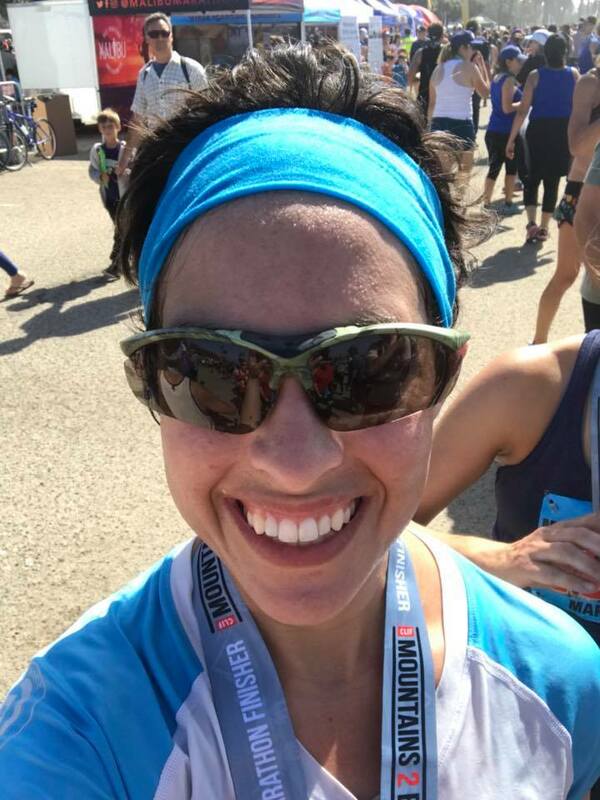 I decided to start with wave 3; from previous experience, I knew that it was easier for me to catch up to other runners than to try to stay with a particular pace group. So, I gave the 3:35 group a 2 minute head start, then spent the first 8-9 miles catching them. When I caught up to them, I ran with them for a little bit. But on one of the downhills, my legs were feeling good, so I let loose and kept going, leaving them behind. Mile 18.5. In the zone. The thing about pace groups is that you know where they are even when you don’t see them. When a huge group of runners is jamming together, and one is holding a sign that says “3:35,” it’s pretty obvious to spectators what’s going on. Around mile 21, I started hearing the crowds on the side of the road cheering for the 3:35 pace group. Which meant they were catching up. Which meant I was slowing down. And if they passed me I knew it was going to be really hard to stay with them (see “Beginning”). 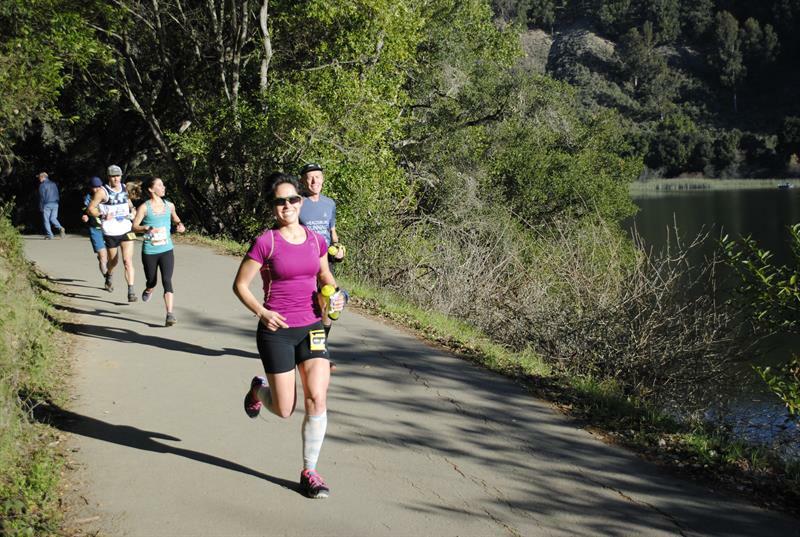 One of the things I learned from Ingrid at Lake Chabot was that I could hurt when running, and things wouldn’t necessarily break. So at this point I really put on the gas. I was being chased, and I didn’t want to be caught, and running was going to hurt for a while. The last two miles were pretty brutal. The course flattened out (no more downhill) which was a shock for the legs. The crowds cheering for the 3:35 group got louder. But I was running faster too. 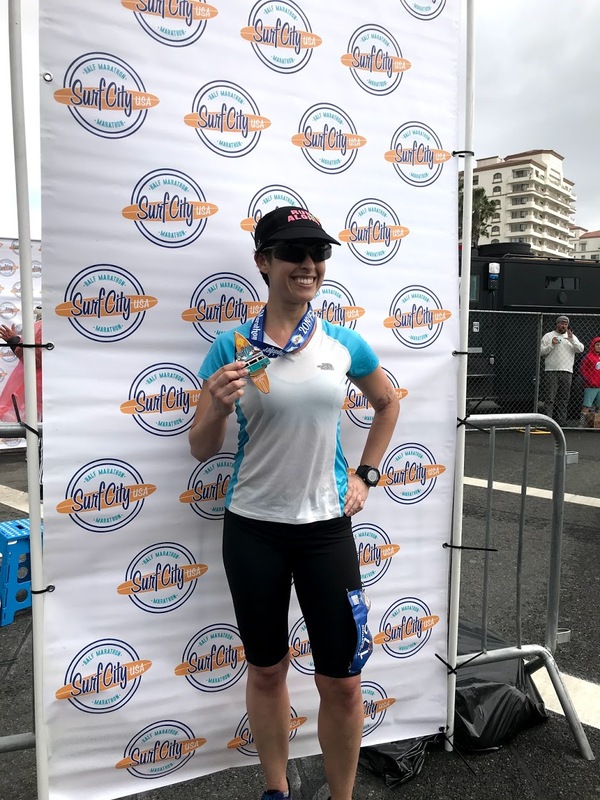 At the finish chute, I gave my legs a 50/50 chance of giving out – my quads were jelly, and I wasn’t sure if my next step would land without me collapsing. The pace group was RIGHT behind me. The sun was behind us, and I saw the shadow of the pace group sign on the ground next to me. It was RIGHT THERE. 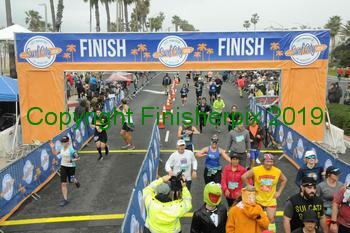 I blasted through the finish just ahead of the 3:35 pace group, securing my PR. I’ve said for several years that distance runners hit their peaks in their 30s. As someone who turned 30 this year, I’m very pleased with the results so far. 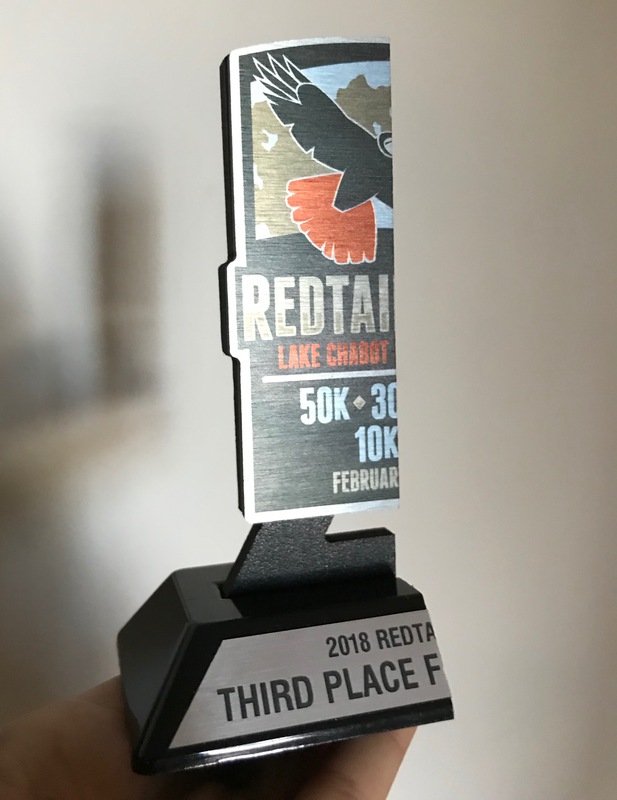 There were a lot of things about this race that would have thrown a younger me off, but having had the reps really helped me work through the tough parts. It’s weird to have to learn to say a new PR time. Sometimes the old one still pops out! I’m not sure I’ll actually make it to Boston, which is disappointing – just because a runner gets to register with a qualifying time under the guidance time, doesn’t mean they’ll be selected. The fastest runners get to go, and last year the cutoff time was over three minutes lower than the registration time. So we’ll see. But that doesn’t take anything away from this insane accomplishment.